Travelling is one of those things that everyone should do. We know you love to visit other countries, take in their culture, see the sights, enjoy the food and drink and maybe speak a bit of the language. Drinking some red wine and walking around the Louvre in Paris, trying a bit of Currywurst in Berlin and checking out the East Side Gallery, staring in awe at the Sagrada Familia and enjoying some fantastic Spanish paella… there’s just so much to do and see, and seemingly so little time in which to do it. This means that, when choosing your next destination, you should make sure to think carefully about where to go. Too often, holidaymakers simply choose wherever is cheap, or wherever doesn’t take long to get to. Instead of making this mistake, we think you should always pick somewhere that looks interesting. We’re here to help with that dilemma. We’re here to shine a spotlight on some countries that don’t receive the levels of tourist love that we feel they deserve. This time, our choice is Chile, the long jewel on the western coast of South America, on the Pacific Ocean and stretching down towards Antarctica. Here’s why it deserves your attention. Chile has it all. 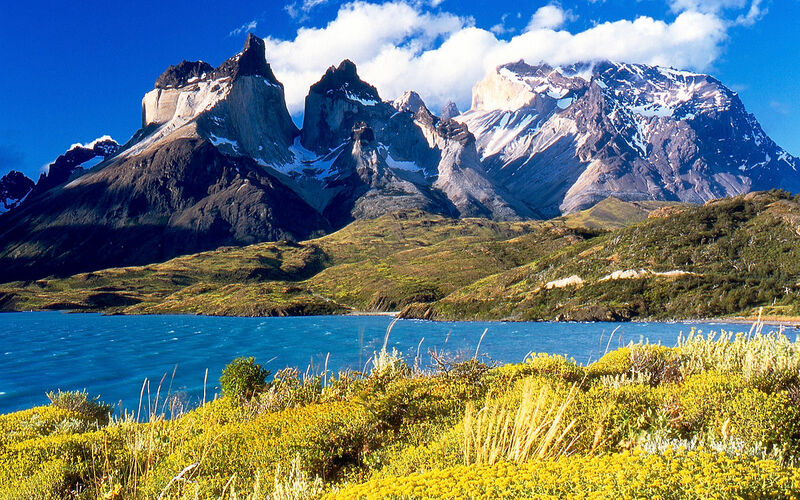 More than 4000km long, Chile stretches over deserts, through rainforests, over valleys and volcanoes, and reaches down to the vast glacial fields of Antarctica. There is little to see on the planet that you can’t find right here. Head to Patagonia’s Torres del Paine National Park to experience the unique sights of the neon blue icebergs towering above you, and if you’re lucky, meet penguins and guanacos. Or for a really isolated experience, pop over to Easter Island to see the rare wildlife and the massive stone moai of Rapa Nui. Chile also has a surprisingly diverse selection of museums to offer its guests. The Museo de la Moda in Santiago is perfect for lovers of style and aspiring fashionistas, with its fantastic collection of Western clothing. John Lennon’s jacket and Madonna’s infamous conical bra are among the main attractions here, along with a host of 20th century designers. And you can arrive in style, too – take a look into Blacklane! Or perhaps you would prefer the Museo Gustavo Le Paige? This amazing place is packed with archaeological delights, with almost 400,000 pieces in its vast collection. The Treasure Room is bound to be the main attraction for many, as it is filled with a wide range of things, all of which are made from gold. This translates into English as “good vibes”, and it’s what you’ll notice on arrival in Chile. Everyone is so welcoming, and the atmosphere is just so relaxed and warm. You’ll settle in right away, and you definitely won’t want to leave. Chilean wine is big news, too – take a trip to a vineyard or two and try the local varieties. There are also some fantastic bars, especially in Santiago, a city with a truly vibrant nightlife. What are you waiting for? Pack your dancing shoes and get on the next flight!